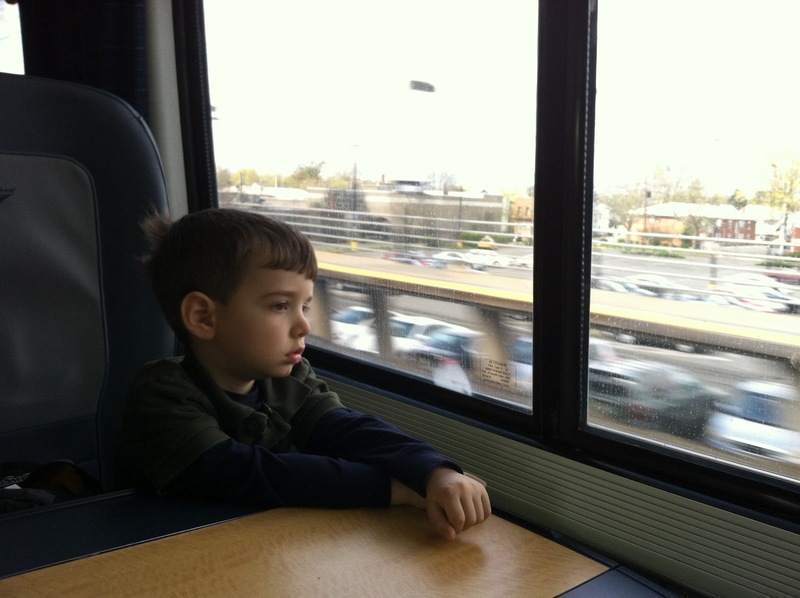 We traveled between New York and Washington, DC by train. It was a great experience! 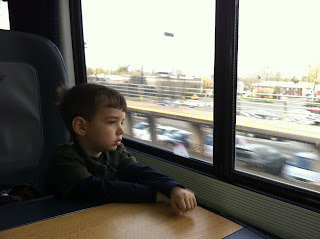 We enjoyed it so much that we're looking forward to traveling by train again someday. 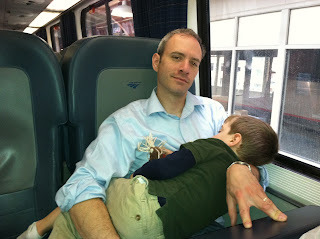 Isaac thought the Long Island Railroad was perfect for napping. 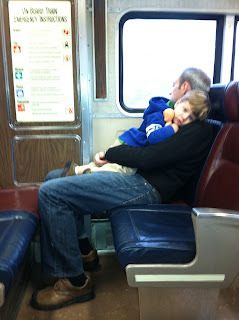 He tucked baby on his shoulder and snuggled into Daddy for a long nap. We packed light for this trip - we just used two small rolling bags in addition to two backpacks. That was quite a feat for four people traveling for 8 days, especially considering that we had to pack for chilly weather. It worked out great, though. Our bags could fit on our stroller and that made us very mobile in the train stations and getting on and off the trains. Things really got exciting at Penn Station when we boarded the Amtrack Acela Express. 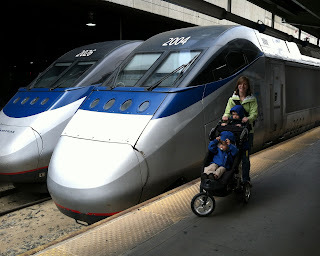 It's the fastest train in North America! 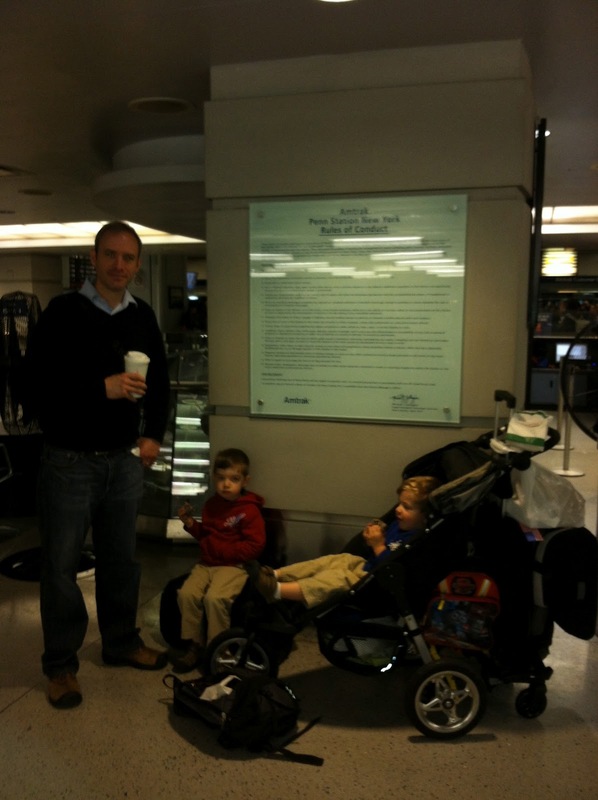 We were happy to find a seating area where we also had a table. Noah was fascinated with watching the world fly by outside his window. He was so fascinated that he fell fast asleep. He was so tired that he wanted Matt to hold him like a baby as he slept. 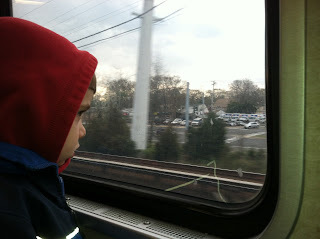 An added bonus of taking the train was that we traveled through so many states!